Artist "Wrocław Baroque Ensemble & Andrzej Kosendiak"
Director of the National Forum of Music, artist, conductor and pedagogue, Andrzej Kosendiak has earned an enviable reputation as one of the most active and committed musicians and organizers of music life in Poland. He graduated from the Department of Composition, Conducting and Music Theory of Wrocław Music Academy. In 2013 he obtained the academic degree of doctor habilitatus. For many years he taught at his Alma Mater, where in 2001-2009 he was head of the Cross-Department Early Music Studies. Since 2014 he has been Professor at the S. Moniuszko Academy of Music in Gdańsk. In 2005 he became Director of the Wrocław Philharmonic and the International Festival Wratislavia Cantans. He soon reformulated the profile of both organizations and successfully led them to their merger in 2014 into one performing arts organization - the National Forum of Music. Upon his initiative, construction works of the new venue of the National Forum of Music were commenced, and he is now the coordinator of this state-of-the-art concert hall development. Andrzej Kosendiak’s efforts led to the establishment of Society of Polish Philharmonics, of which he is now chair for the second term of office. Of the National Forum of Music artistic ensembles, many were founded upon Andrzej Kosendiak’s initiative: NFM Choir, Wrocław Baroque Orchestra, NFM Boys’ Choir, and he also contributed to the founding of Polish National Youth Choir. Andrzej Kosendiak founded the festivals Forum Musicum and Leo Festival. Thanks to his efforts, in 2013 the Wrocław Philharmonic organized the 27th Congress of the International Society for the Performing Arts, attended by around 400 delegates and guests from all over the world. He is one of the authors of academies of early music held annually in Wrocław, combining concerts with master classes (Bach Academy in 2014 and Handel Academy in 2015). Andrzej Kosendiak has launched several educational projects: Singing Wrocław, Singing Poland, and Mummy, Daddy Sing to Me. He is one of the authors of Muzyka w Mieście monthly, issued since 2012 by the National Forum of Music. Andrzej Kosendiak put forward the idea of recording the complete works of Witold Lutosławski – in the Opera Omnia series six albums have been released so far. Another initiative is 1000 Years of Music in Wrocław, presenting the musical heritage of our city. Thanks to his commitment, the phonographic project of Paul McCreesh and the NFM Choir is now under way, recording the greatest oratorios in music history. The discs released so far have won prestigious awards: BBC Music Magazine Award (twice), Diapason d’Or de l’Année and Gramophone Editor’s Choice. 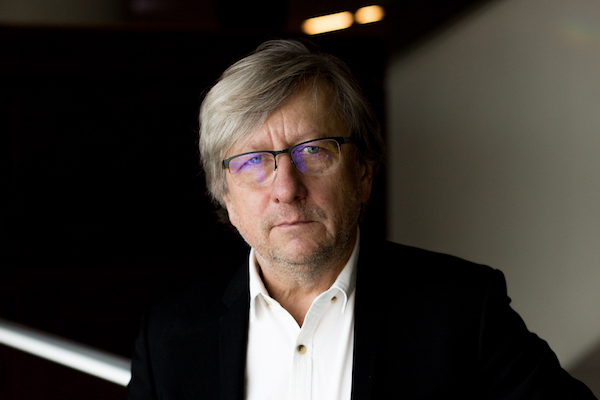 Early music is of particular interest to Andrzej Kosendiak: in 1985 he founded Collegio di Musica Sacra and has directed the ensemble ever since. They have given concerts in many European countries, as well as the US (including collaboration with Chapel Hill University NC), appearing at the most prestigious festivals and concert venues across Poland. His recording catalogue includes rediscovered music from Wrocław University Library – Musica da chiesa (DUX), and from Strasbourg Library - F. X Richter: 'Missa Pastorale', Dixit, Magnificat (CYPRES) as well as A. M. Bononcini’s Stabat Mater (DUX). 2012 and 2014 saw the release of two discs with works by G. G. Gorczycki (CD Accord) directed by Andrej Kosendiak. The first disc was awarded Wrocław Music Prize and nominated for Fryderyk Award. As a conductor he gives regular concerts with the NFM Symphony Orchestra and Choir, as well as Wrocław Baroque Orchestra and philharmonic ensembles across Poland. Over the recent years he has conducted Haydn’s The Creation, Handel’s Messiah, Mozart’s Mass in C minor and Requiem, Bach’s Mass in B flat minor and both Passions (initiating years ago a tradition of performing these works in Wrocław during the Holy Week), Fauré’s Requiem, and Britten’s Saint Nicolas.